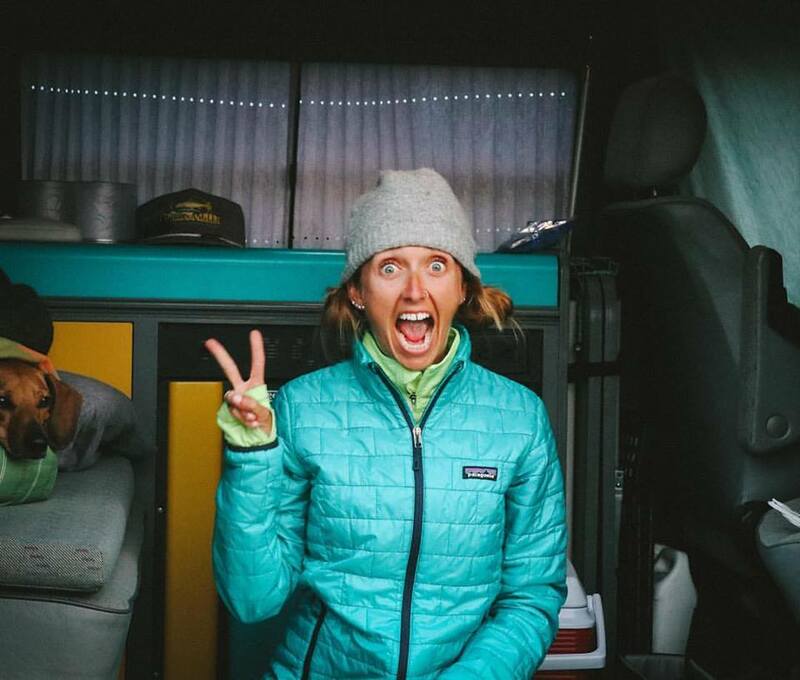 Hopefully by now you know I try my bestest to take care of the environment... so when I saw that The North Face was making their five US ultras CUPLESS I was STOKED to say the least! 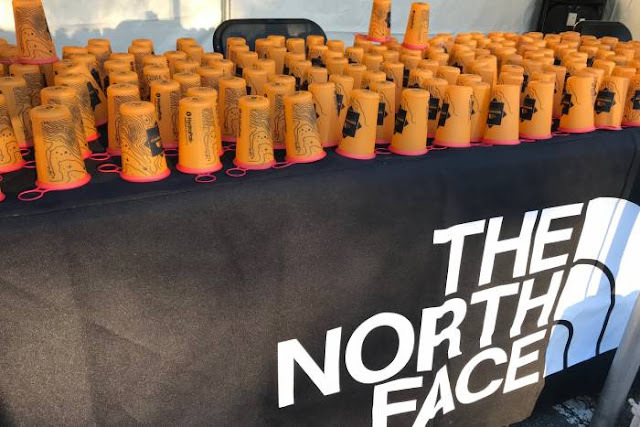 In an effort to combat excess waste from disposable cups, The North Face announced last week that it will use reusable cups during its Endurance Challenge Series. The “cupless” movement will go forth during its five ultras through the use of HydraPak SpeedCups. 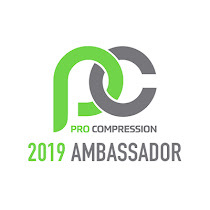 The Endurance Challenge started going cupless with its Washington, D.C., event in April and New York in May. The rest of the series will take place in June, September, and November in Massachusetts, Wisconsin, and California, respectively. By going cupless, they will effectively prevent 140,000 cups from taking up space at the landfill. Each HydraPak SpeedCup is collapsible, holds 200 mL of fluid, and weighs 10 grams. 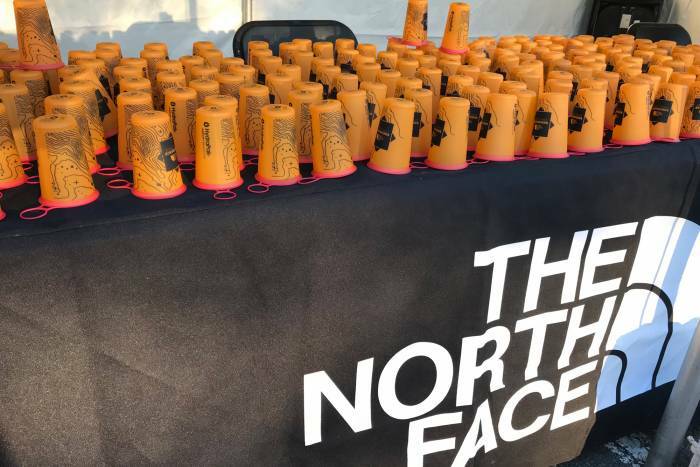 Reusable cups are common among ultramarathons in Europe, but races in the U.S. have yet to adopt the movement in full. EVERY CUP COUNTS! I have been rocking a ROAD iD Elite for a while now. Apparently they used to have an aqua/ turquoise color but stopped making that band (#SadPanda), so I settled on a boring black. Recently they just added some new, limited edition band colors and you better believe I'm loving them! Banana, Dragonfruit, Fuego and Grasshopper are definitely more my color palate (the brighter the better), so I'll probably have to stock up on replacement bands soon! I'm still holding out hope that they'll bring back an aqua or turquoise band in the future, but I guess until then I'll have to be okay with these. 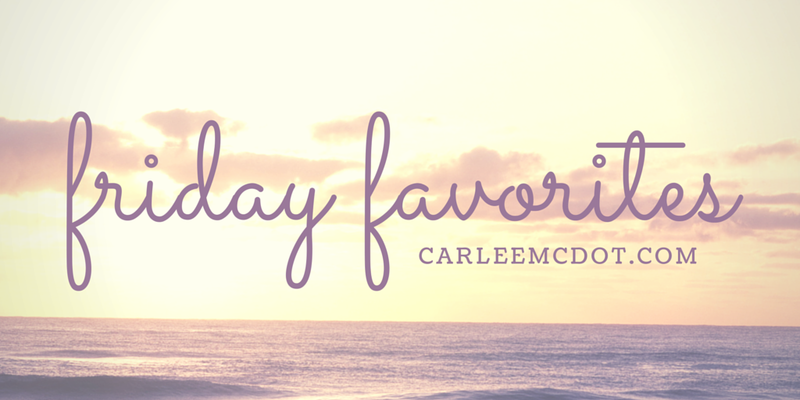 Last week I shared about the #RaceDavid story. If you missed it, a BA six year old wants to use his new racing prosthetics to RACE THE WORLD! He will be starting this goal at the Rock 'N' Roll San Diego 5K. 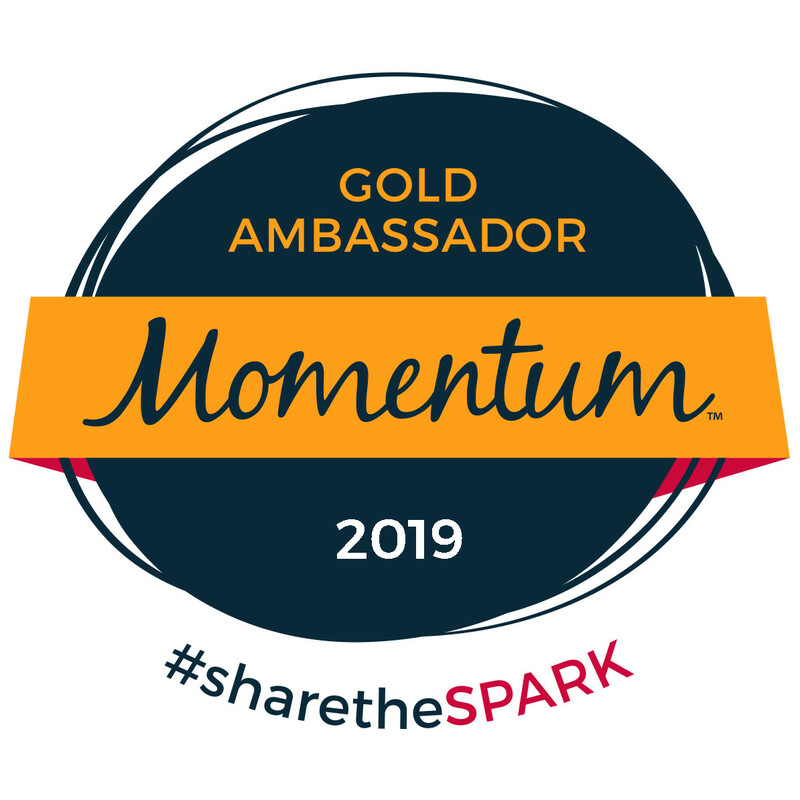 Not only can you help David on his quest to race everyone in the world, but you can also meet and greet AND run with superstars Des and Meb throughout the weekend! OH HECK TO THE YES! 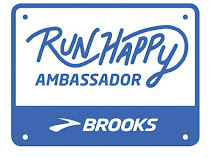 If you are running either the 5K or Half Marathon you have a chance to run with them (Des will be pacing the 2:00 Half Marathon group and Meb will be pacing the 1:30 Half Marathon group). If you aren't running but will be in the area you can always go to the meet and greets! 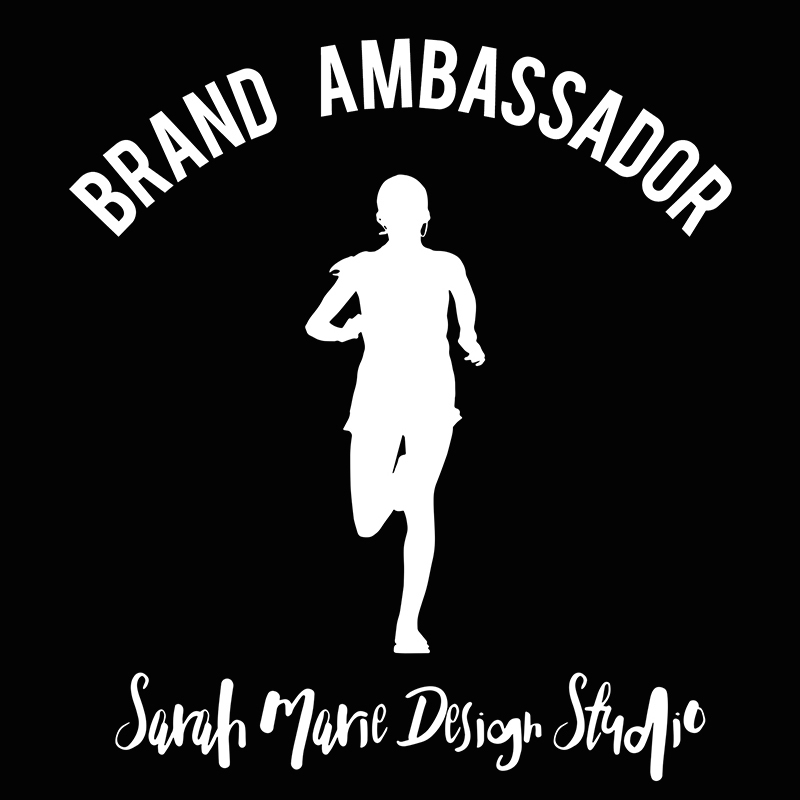 PS If you want to run and haven't registered yet, feel free to use code "RNRRNB2018" to save $15 on the half and full marathon distances! My mom tagged me in the @shopetee Instagram account so I had to check it out. As soon as I saw it I was intrigued. You see, the hubby and I try our best to be as environmentally friendly as possible. This company created beeswax & essential oil food wraps that keep food fresh, but without all the negative health and environmental side effects that accompany plastic products. After more than a year of testing, they developed a reusable (natural and biodegradable) way to keep food as fresh as plastic! On average the wraps get 120-150 uses! Now, I've gotta be honest and say I haven't tried them, so I can't corroborate their claims, but if they work as well as they say they do, then these could be a game changer! Just think of all the single use plastic (from saran wrap to ziplock bags) they could save the planet! Reusable cups would be so awesome for races! Especially Ultras. There's a few trail races here in Texas that are cupless but they sure are rare. 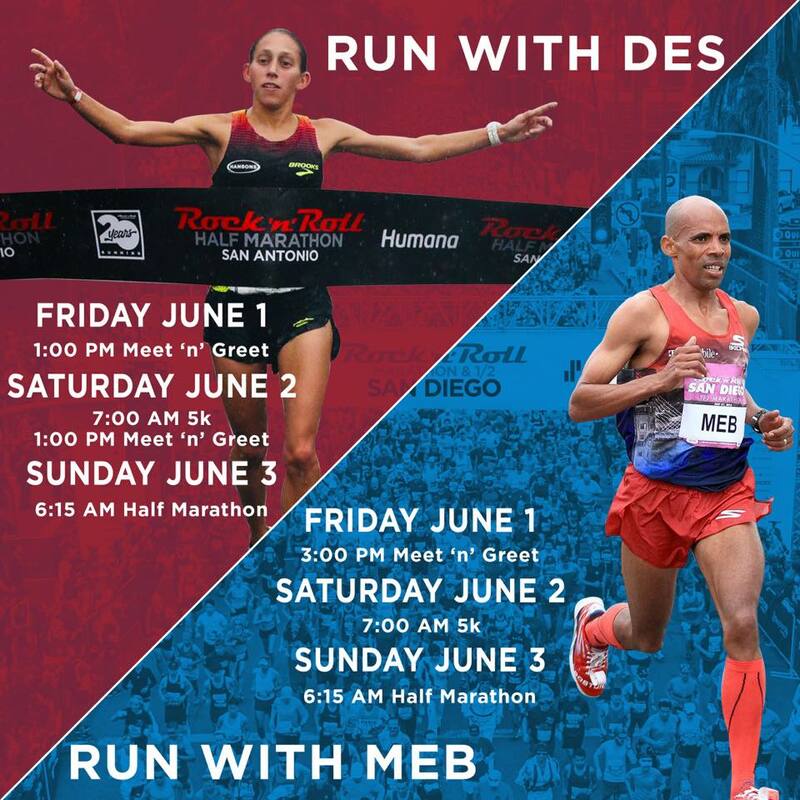 Also, how cool would it be to run with Des or Meb?! Love everything today. Had to share, I looooove the etee wraps. Kind of strange retraining yourself in the beginning but then you get used to them and don't want to use anything else. Super easy to clean. I buy them as gifts (and Swedish dish cloths...check those out if you haven't heard of them) for everyone I know now!